In a move that is likely the response to the ever crowded $200 tablet market, Barnes and Noble announced today that it was dropping the price on the Nook Tablet and Nook Color. The new pricing is as follows. New York, New York – August 12, 2012 – Barnes & Noble, Inc. (NYSE: BKS), the leading retailer of content, digital media and educational products, today announced amazing new, lowest-ever pricing on its award-winning NOOK Tablet and NOOK Color devices, just in time for the back to school season. Starting today customers can purchase the highly acclaimed NOOK Tablet starting at $179 and NOOK Color for $149 at all of Barnes & Noble’s nearly 700 stores nationwide, online at NOOK.com and through the other leading retailers offering NOOK® products. Customers seeking a fast, lightweight tablet with an incredible 7-inch VividView™ display and long-lasting battery life will love the popular NOOK Tablet, now available at $179 for the 8GB model and $199 for the 16GB version. 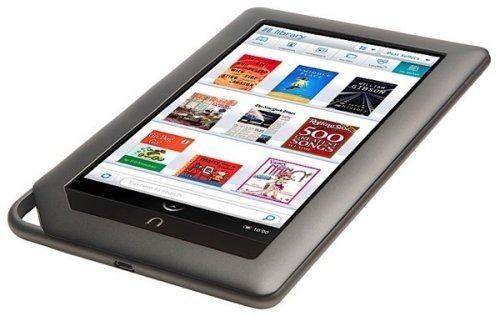 NOOK Tablet offers access to the world’s largest digital library of more than 2.5 million titles, popular movies, TV shows, music and more, plus thousands of high-quality NOOK Apps™, fast Web browsing, e-mail and expandable memory. NOOK Color provides tablet essentials at a great value for only $149. The 7-inch device is ideal for reading and exploring a variety of great content including books, magazines, interactive children’s books, apps, access to top video and music services, e-mail and Web browsing. All NOOK customers can shop Barnes & Noble’s expansive NOOK Store™ of more than 2.5 million digital titles, and the ability to enjoy their NOOK content across a wide array of popular devices. Barnes & Noble offers always free in-store NOOK support for customers to set up and learn how to use their new device face-to-face with friendly neighborhood NOOKsellers. So the question is, does this pricing make you more likely to pick one up or are you still willing to pay a $20-$50 premium for an Amazon or Google tablet? Tell us in the comments.